Open 'Settings' from your Home Screen. Select 'Whistle' from the settings menu. Enter in your new SIP proxy information. Open up your Whistle Phone app. The following screen will appear, prompting you to authenticate your account. 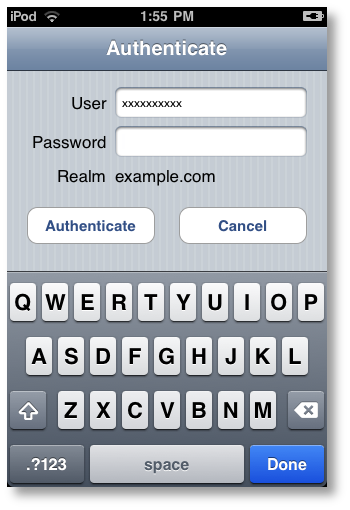 Enter in your password and click 'Authenticate'. Your phone will now be configured.